It’s a fact: we’re…different. Our roots are different. And it’s felt in our hallways: PhD-level discussions (over coffee, so much coffee) about slim vs. regular fit. To your doorway: clothing, with an extra side of expert style advice. What makes Stitch Fix tick? Read on. In the history of Stitch Fix (since way back in the year 2011), we’ve never shipped out two identical Fixes. Ever. Proof that our Stylists hand-select pieces personalized to your specific needs (whatever those may be). We have over 40 PhDs and data scientists on our algorithm team, including a few rocket scientists and neuroscience experts. If you’ve never overheard a data scientist and clothing buyer discuss button placement, then you haven’t lived. Truly. We should seek help. Sure, we use science to hone in on items you might like. But it’s our team of expert Stylists who (quite literally) make it happen. It’s so important that our founder, Katrina Lake, continues to style Fixes to this day. Yours might be from her. Our fit technicians study thigh measurements like some people study coffee beans. But the fruits of their labor produce more than a cup of joe. They help develop exclusive brands—developed in-house using your feedback—that are built for your build. Did we mention that catering to you and your lifestyle is top on our list? That’s why we customize everything—even down to the date and frequency of your Fixes. Want a one-off seasonal send? Or need basics on the regular. We’ve got you (literally) covered—without the need of a membership or subscription. 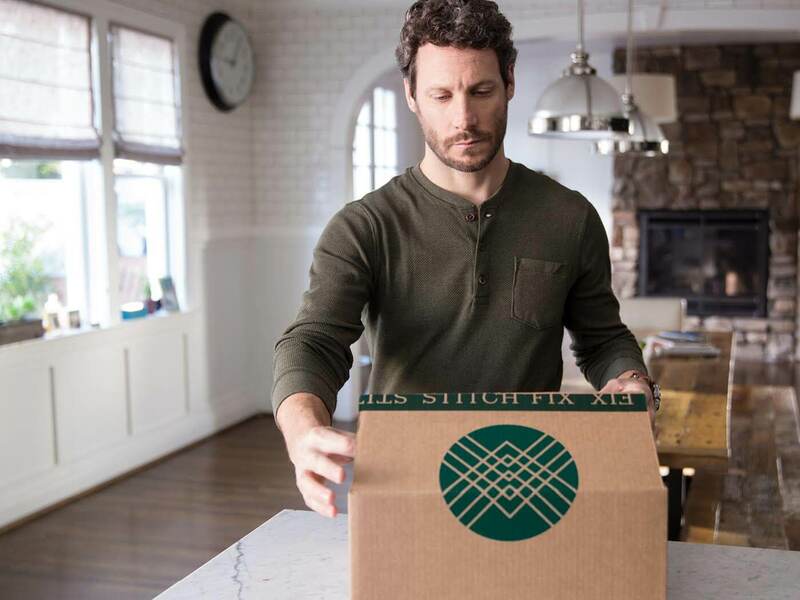 Want to give Stitch Fix Men a go? Try it out.